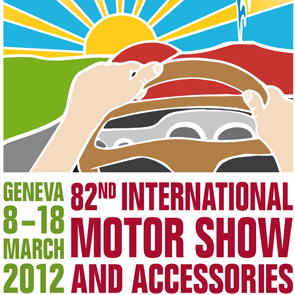 Carnation Auto Blog: A Peek At The Super Exciting Geneva Auto Show 2012! 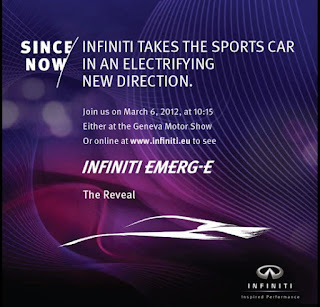 A Peek At The Super Exciting Geneva Auto Show 2012! Are you aware that the Geneva Auto Show is less than a fortnight away? Yes, one of the most interesting automobiles shows globally, it pays for manufacturers to be talked about and seen here. That's why, many have been creating excitement using teaser campaigns, while some others are making a head start by showing off their products. The Geneva Auto Show one of the more important auto shows, also known as the Salon International de l'Auto in French, is a yearly auto show held every spring (March) at the convention center - Geneva Palexpo - located right next to the city's International Airport. The Salon International de l'Auto, started in the year 1905 has showcased some of the major car engines features internal combustion technology. Through the centuries, the auto show has become a major platform for showcasing the latest auto technologies as well as exotic super cars, concept cars, latest equipment, technological breakthroughs, and lots more. Since, Switzerland doesn't have its own auto industry, the Geneva car show has the reputation of being a level playing field. There is a lot of noise about the alleged showstoppers at the auto show this year. These include Infiniti's concept car, Fiat Ellezero, Opel Mokka, Buick Encore, and Mini Countryman and lots more. The show will start on the 5th of March and go on until 15th March 2012. If you are visiting the show, do share your photos, videos, and content with me.